We have already seen some of Benedict’s discussion of prayer, as well as reflecting on the daily office as he describes it. As we progress through the Rule, we encounter more of Benedict’s regulations concerning prayer and its primacy in monastic (Christian!) life. In chapter 50, distance from the monastery or travel are no excuse. When the hour for prayer comes, stop what you are doing and pray. Get off your horse and pray. If the bell for prayer rings and you are out in the garden, kneel in the dirt. Pray. For us today: Holidays are no excuse! A lot of us get our prayer disciplines out-of-whack during holiday seasons. Some people stop making it to church when they move out to their cottages. Others choose not to go to church when away from their home city. Benedict would not approve. Just because our secular work is on holiday doesn’t mean our prayer lives are! Chapter 52 highlights the extreme importance of prayer in the Benedictine world, urging that oratory be put to not purpose other than prayer. No idle conversations. No roughhousing. No badminton (I know a minister who wants to take the pews out of his church so they can play badminton). Making certain places special, set aside for prayer and holiness, helps make all places special. There is an argument from contemporary neo-Celtic spirituality that there are ‘thin’ places. I am not sure if a. this is actually something Insular Christians of the Middle Ages believed or b. it’s true, anyway. In fact, there is an argument that places people often consider ‘thin’ are not literally, objectively more so than anywhere else — whether we say Mount Athos or the chapel at Wycliffe College in Toronto or wherever — but rather that the activities we engage in while at such places make us more attuned to God. The goal for us, when we leave ‘thin’ places, is to make our whole lives in every place ‘thin’, permeated with the Kingdom of the Heavens. For, as Christ says in Matthew 4:17, the Kingdom of the Heavens is at hand. Prayer is the opus Dei in the life of the Benedictine monk. It is the work of God. It runs through the fabric of every day. 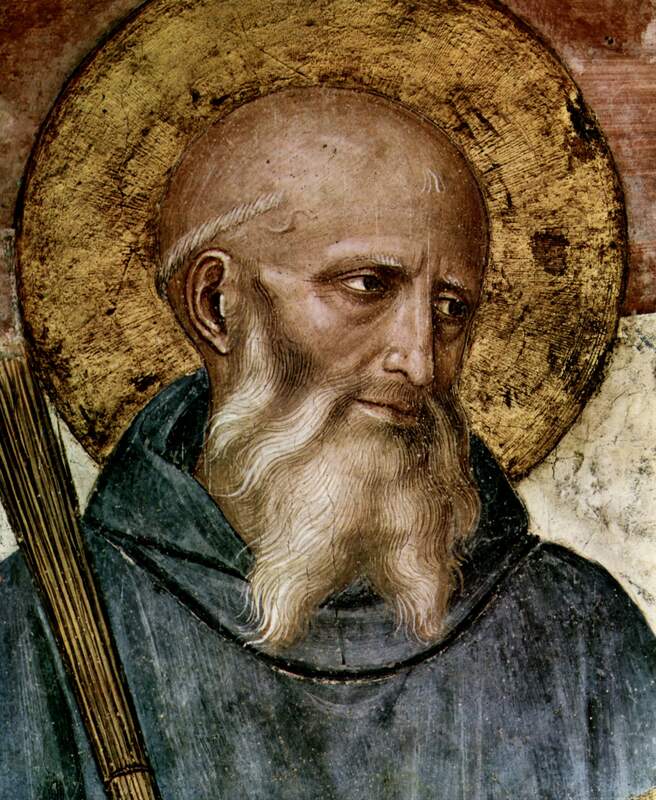 I find it no surprise, then, that some of the great pray-ers of history and writers on prayer have been from the Benedictine traditions. I think immediately of two from the Middle Ages, St Anselm in the opening prayer of the Proslogion or his Meditations and the Cistercian St Bernard of Clairvaux and his rich spirituality, expressed in his sermons on Song of Songs. I got back from a week up in northern Scotland with my parents this past Friday, and our first stop was the Granite City of Aberdeen where, after seeing my Grandpa’s birthplace and two fantastic Gothic churches, we slipped into a bookshop (as we are wont to do). To my delight and surprise, I found Poems of St John of the Cross, translated by Roy Campbell. As I have mentioned here before (twice, in fact), I lost this book, a gift from my friend Emily, along with The Way of a Pilgrim, trans. Helen Bacovcin, back in 2004 on the OC Transpo when the books fell out of my pocket. My brother gave me Bacovcin’s Pilgrim for this past birthday, and now I have also recovered St John of the Cross — in even the same edition! Quite chuffed with this purchase (a mere £2), I started reading that night at our hotel. 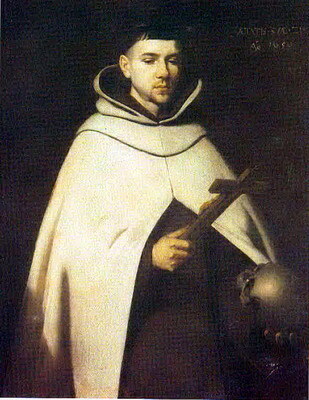 Here you will find that St John of the Cross employs ‘the analogical’ method of talking about God and our relationship to Him — that is, St John is unashamed to follow in the footsteps of St Bernard of Clairvaux (saint of the week here) in discussing Christ as the bridegroom of the human soul as bride. It is an analogy for a kind of communion and relationship to which nothing in the human sphere really compares. This private poetry is one of my cited locations where it’s okay for Jesus to be your boyfriend. The first poem is the famous ‘Dark Night of the Soul‘, upon which St John wrote a commentary that is one of the great classics of the Christian tradition (read it online or find it in print!). Many of the poems deal with searching for the Lover or with one of the classic tropes of lyric-elegiac poetry — the pain of love. One title stands out to me, Englished as, ‘Verses Written After an Ecstasy of High Exaltation’. * How many of us could say, ‘I have had an ecstasy of high exaltation?’ We may have the eros, the desire, for God, but we rarely reshape our lives. My ‘ascetic revival’ of a few years ago lasted about a week. Old patterns slip back in. Who has time to sit alone and pray to God, to clear the mind, to do nothing in God’s presence? We, of course, need to make the time. Cultivate stillness and silence. Probably very few of us will have ecstasies of high exaltation — ecstasy, as James Houston notes in The Transforming Power of Prayer, is a gift from God not doled out lightly. We cannot attain it by any technique or through any skill. But we can all attain the same stillness that inspired St John of the Cross to write his beautiful poems, driven by the desire to meet with the Most Holy Trinity. And that is worth doing. So, when we’re moving along with church attendance, prayer, and scripture reading — as recommended here — shall we then add stillness in God’s presence as a way to focus our lives and hearts of Jesus? *’Coplas del mismo hechas sobre un éxtasis de alta contemplación’ in the original spanish.